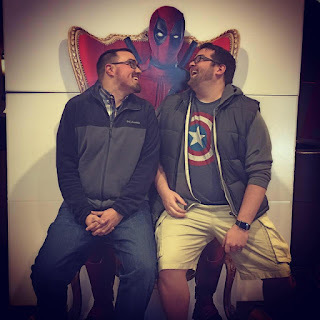 I've been kicking around the idea of blogging about comics for a while with Chad and this is the best I've come up with! Here's the deal: I read a bunch of comics every week. Spoiler alert: most of them are published by DC. So each week I'll jot down my thoughts on some of the books I read that week. Nothing super in-depth or wordy, but just a run-down of some of what I read and what I thought of them. If you have thoughts on books that I don't discuss, feel free to ask! Note - you'll find a list of all the books I read that week listed at the bottom. 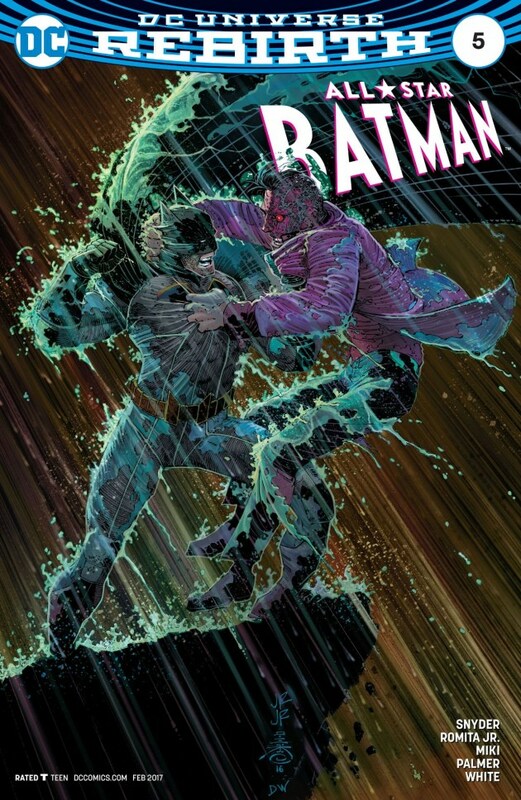 Scott Snyder has two great books out this week that are vastly different. A.D. Book 2 continues this unique format of prose combined with comic art and dives more into the back story of Jonah Cooke. Specifically his background as a thief and how that led to where is today: as someone who has found the cure for death. Snyder does a great job of juggling two timelines simultaneously and the effect of using prose for the past and comic form for the present is great. I've also been incredibly impressed with the printing/publishing quality of the book by Image. 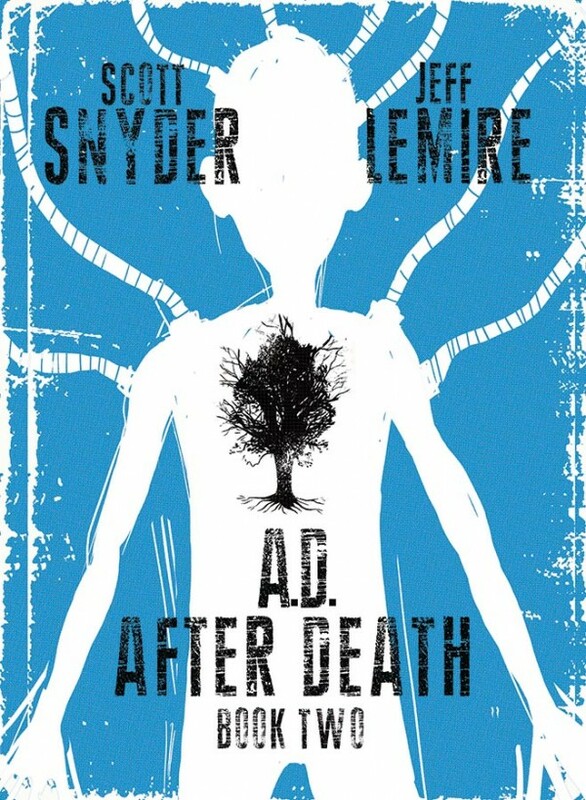 As a note - A.D.: After Death was optioned for a movie from Sony Pictures shortly after Book 1 was released. So I will officially read anything written by Scott Snyder. Just as a heads up. This issue wraps up his first arc on All-Star Batman ("My Own Worst Enemy") and one of the things I love about Snyder's writing is that there is so much more to his writing than what's right in front of you. There's always some deeper meaning or connection that pays off by the end. What we end up with here is a great story about Alfred's love for Bruce amidst all of the intensity of this road trip we've been following Batman on. Also, Snyder shows us that Batman can be funny and still be "the Dark Knight". Civil War II finally comes to end. Marvel has become increasingly bad shipping books on time and adding issues in the middle of the run. Case in point: Civil War II. 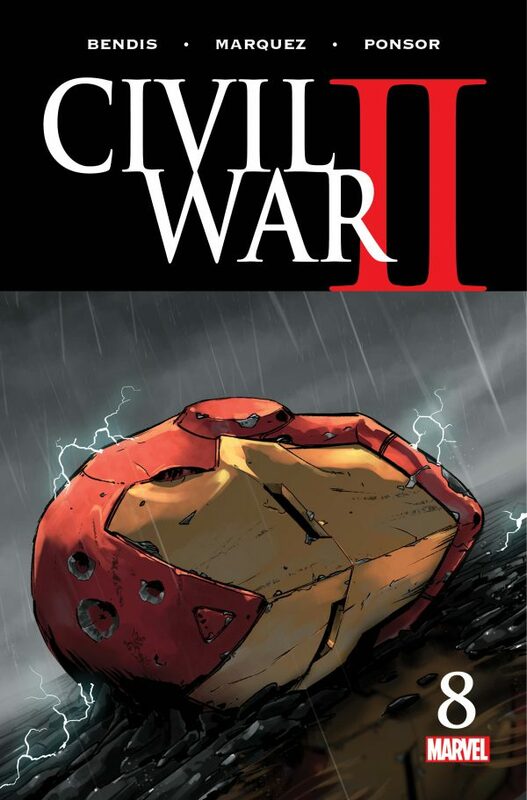 After 7 8 issues, we finally have a conclusion that has really already been spoiled for us in the pages of other Marvel books, since the delay of Civil War pushed it out further than when the regular series were ready to hit the shelves. Unfortunately the wait doesn't necessarily pay off and you're left feeling a little unsatisfied due to the lack of long-term repercussions we were promised from the beginning. Honestly, it feels as if all of the "big things" happened in earlier issues (with the exception of Tony Stark). The one thing this book does set up is a quick glimpse into future (or current) things happing in the Marvel Universe like Monsters Unleashed, Inhumans vs. X-Men, what appears to be Thor Odinson fighting Loki, and a freaked out Captain Marvel seeing Ultron standing over the bodies of the Avengers. Not a terrible end to the event but very lackluster. So...a lot of what I said about Civil War II pertains here as well. Adding an extra issue. Extended delays. So forth and so on. The difference is that: 1) this is more of a rarity for DC and 2) the wait has been MUCH longer for DK3. The series began in November 2015 and with it's 8 (at the time) issues, it should have concluded in June 2016. Here we are barely squeaking out issue seven, 13 months later, and now awaiting issues 8 & 9. Having said that there are things I like and don't like about this book. 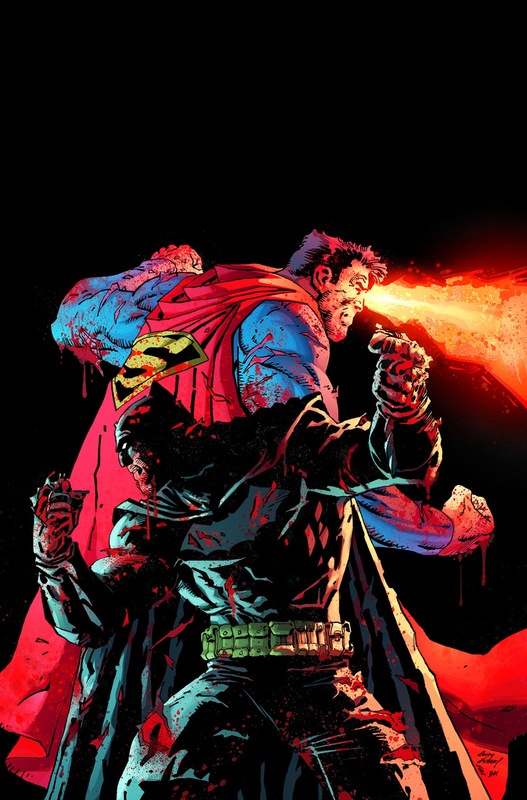 It seems very much like Frank Miller agreed to have this project happen and now I'm curious if Brian Azzarello is writing all of the scripts. It just feels like it's missing some of that feeling that DKR, or even DK2, had. I'm enjoying Andy Kubert's art and it feels very much a part of Miller's "Batmanverse". I'm also a little disappointed that the mini issues inside have not been drawn by different art talents like we were originally expecting. For a series I was pumped about, at this point I just want to see how it ends to get the full story to see if this has been a waste of time. Hey everyone! Don't forget that you have until the end of the year to enter the giveaway for issue number one of Reborn by Mark Millar and Greg Capullo! How do I win you might ask? All you have to do is head over to Facebook and/or Twitter (links above) and leave a comment mentioning the podcast! Tell us what you like about the podcast, tell us what your favorite comic book movie is, or pretty much anything. If your entry is picked then you will win a first printing of the comic! The giveaway is open to US residents only and entries will close on 12:01 AM EST January 1, 2017. ​We watched Star Wars: A Rogue One Story, and boy do we have some different ideas about this movie! Come, join us. You are sure to agree with one of us, and think the other is an idiot! ​Wess has a down home country thanksgiving... oh, and we ruin Fantastic Beasts, talk Marvel's Inhumans, the big DC CW crossover event, the latest Rogue One trailer, and the latest Westworld theories! Please enjoy with a side of cranberry sauce! One of the most talked about movies of the year is out! Are the critics too hard on Suicide Squad or should DC have killed the project themselves? Is there enough Batman in the movie to make Wess happy? Does Chad actually know how to get a haircut? Find out here! Jump to 2:48 for a special guest appearance! Did Warcraft deliver on the elusive video game to movie translation, or is it basically a 2 hour cutscene? Spoilers ahead as Chad and Wess discuss. Teenage Mutant Ninja Turtles is one of the most beloved franchises of many peoples childhood's. Now, find out where Out of the Shadows lands in the pantheon of the Turtles Universe. This is it! Chad & Wess' amazing first issue of Comic Pull with co-host Ray! Find out what Wess & Ray are reading while Chad tried to figure out what's going on! These episode's topics include DC Universe Rebirth, Captain America: Steve Rogers #1, Justice League #50, and more!! X-Men: Apocalypse is out... will this be the apocalypse for the X-Men franchise at Fox? Spoilers ahead as Chad and Wess discuss the movie fresh out of the theater! Chad and Wess watch the second trailer for Captain America: Civil War and also break down some of the recent news from the world of geek movies and comics! Wess and I have been playing Halo 5's storyline together for the past couple weeks. If you want to check it out, I streamed it on Twitch and then posted it to YouTube. 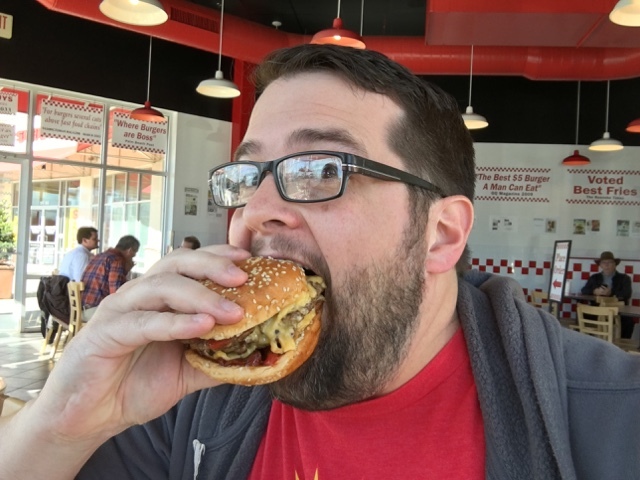 Chad & Wess eat some burgers! 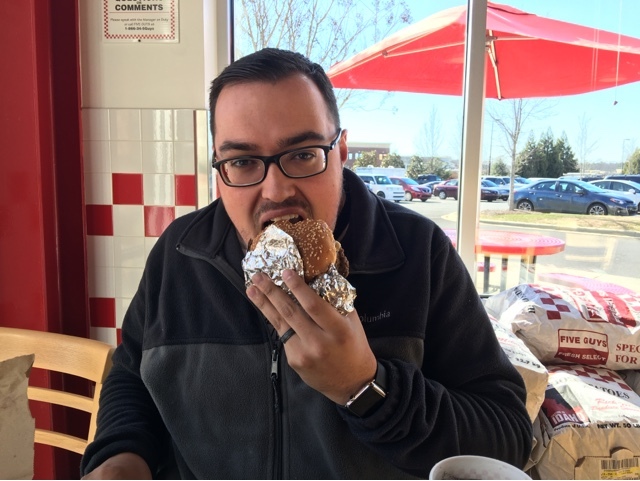 Wess and I went to 5 guys today... Can't get enough of that delicious meat! Just in case you were wondering, we both got triple patty burgers! A look back at the movies we saw and wanted to see in 2015 and what we are excited about in 2016!